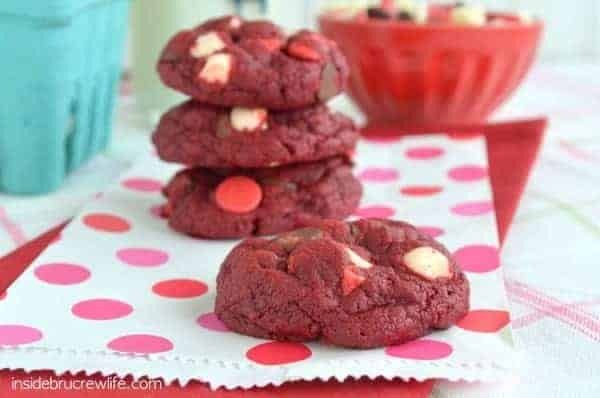 These Red Velvet Cookies with three kinds of chocolate chips will be a favorite Valentine’s Day treat this year. A couple months ago I made these Chocolate Mint Cookies. I had to give them away, or I would have eaten the entire batch of cookies before the day was over. They were that good! Have you tried the cake mix cookies yet? They are one of my favorite go-to cookies at the moment. I love quick and easy they are to mix up and bake. You could bake them right away, but I like to let the dough chill in my refrigerator for about 30 minutes. It helps the dough from spreading out too thin. And DO NOT bake them more than 9 minutes. 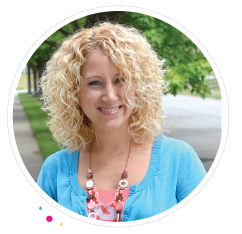 They will look very undone, but they will set up quickly. My favorite way to eat them is fresh out of the oven. The center is still so gooey and soft and just perfect. Plus the chocolate is so melty and delicious. 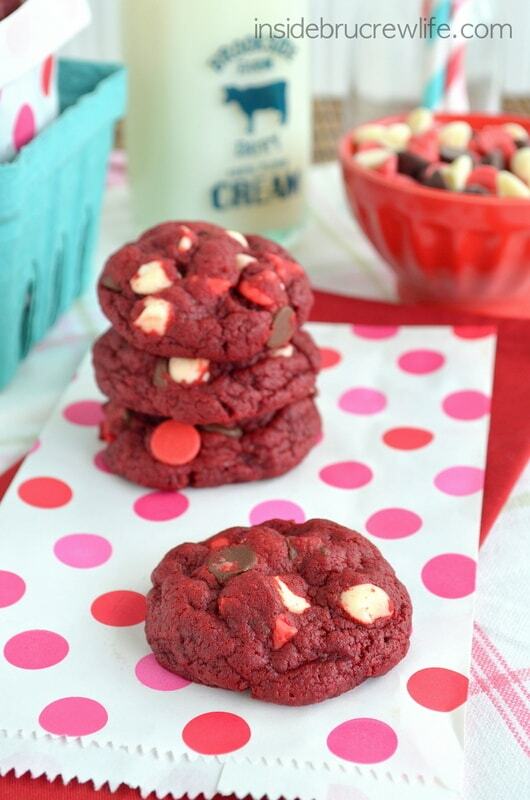 I wanted to make some of these Red Velvet Cookies with a Valentine’s flair for this month. When I was shopping at Walmart I found the Nestle Valentine’s mix of chocolate chips. 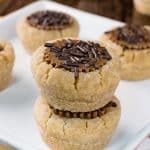 Every bite of these cookies has a good amount of chocolate in it. The best thing about these cookies is that they stay soft for about 5 days. I’m sure they would stay soft longer, but cookies just don’t last long enough in our house for me to test that theory. I hope you like red and pink Valentine’s Day treats because I kind of went overboard this year and baked quite a few. So get prepared for a new one every day and maybe even one after the heart day is over. In a mixing bowl, combine the cake mix and butter. Add the egg, vanilla, and cream cheese and beat until mixed thoroughly. Stir in the chips by hand. Chill the dough 30-60 minutes. Roll the dough into 1 -1 1/2 inch balls. Bake on a nonstick sheet pan for 9 minutes. 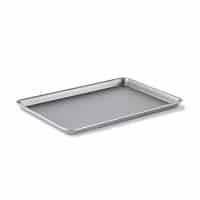 Let rest on pan for 2 minutes before removing to parchment paper or a wire rack. Cool completely before storing in a sealed container for up to 5 days. Makes 36 cookies. 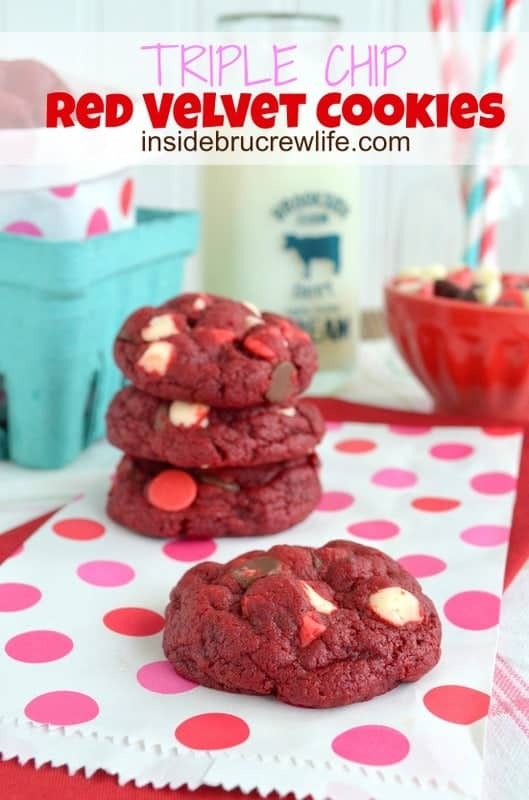 I love red velvet cake and the simplicity of cake mix cookies. This is such a great idea for valentines day! Cake mix cookies are so simple and so under appreciated! Got to love a cute Valentine’s treat that doesn’t take a long time! I stumbled upon these Valentine morsels while grocery shopping the other day. This looks like the perfect recipe to use them in! 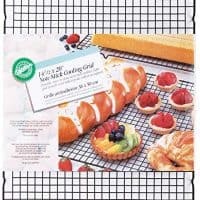 I love when I stumble on fun baking goodies! As soon as I saw the red velvet cake I knew how I wanted to use them!!! Thanks for stopping by! These look incredibly yummy, Jocelyn! Pinned 🙂 Thanks!! Hope your week is getting off to a beautiful start! Thank you so much for the sweet comment Brenda. I hope your week is starting off good too!!! I am surprised these cookies even lasted five days! They wouldn’t last two minutes in my house. They don’t usually last that long, but I bagged them up for lunches and the kids know they can’t eat those whenever they want! You don’t need to twist my arm to get me to love red velvet these days! And the triple chips just take them to a whole new level. 😉 Cake mix cookies are underrated – they so convenient! And taste so good! I just love the convenience of a cake mix cookie…and they taste like you spent hours on them! Any thing with triple chips is a winner by me! Haha you and me both…I am becoming addicted to these cookies! And thanks for the sweet comment! Cake mix cookies are becoming my favorite. Red velvet does seem to be a favorite this time of year!! Um… YUM! Looks awesome, Jocelyn! I love these little treat!! 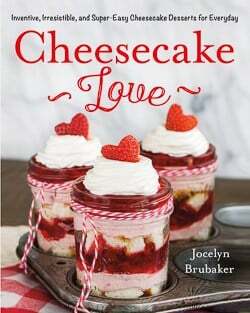 Perfect for Valentine’s Day!! Thank you Meghan! I agree…these are perfect for the heart day!!! 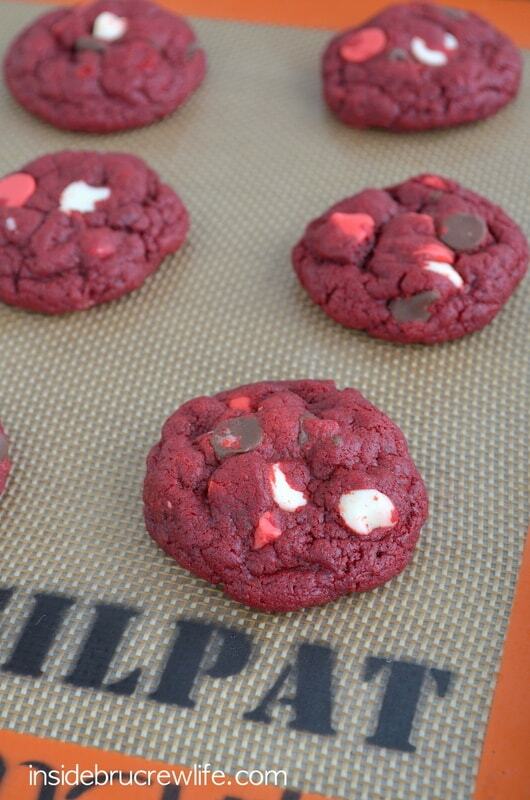 I have never been that into red velvet until I had these cookies…now I see why everyone loves it!!! These are so pretty! 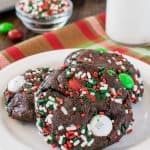 I have to admit, cake mix cookies are some of my favorites! Thank you Ashley! The cake mix cookies are quickly becoming my favorite cookie to make too!!! Whoops! Sorry about that. Apparently I forgot to add that. 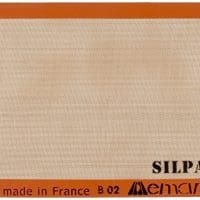 It is 350*. I just went in and edited the recipe. Thank you for letting me know. I hope you enjoy the cookies!!! I’m pretty sure these would not last 5 days in my house. And yes, warm out of the oven all cookies are the best! Woo hoo! I hope you are enjoying them!!! I have actually never had these last long enough to freeze, but I don’t see why they couldn’t be frozen. I would layer them with wax paper before freezing to keep them from sticking to each other. O!!! M!!! G!!! I almost put myself into a diabetic coma bc of these AMAZAZING cookies!!! They were SUPER easy to make, and i was THIS close to shoveling them all into my mouth all at once!!! 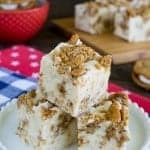 Thanks for posting this awesome recipe!!! Nestle discontinued the Valentines Morsels. Did the red chips have a different flavor? Or were they just red? They were just colored red. 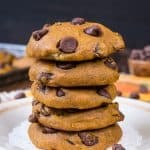 You can use any chocolate chips that you like in the cookies. 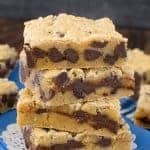 White, milk, and dark chocolate chips would be a great mix too! Thanks! What do you think about using red & or pink m&m’s in place of the milk chocolate? I was just wondering , if I freeze these cookies, how long do you think they would last being out of the fridge. I would like to make thee for friends but I must travel to go see them and I’m just wondering if they would last the trip. How long of a trip is it? They last 5-7 days just being in a sealed container on the counter. I was in charge of deserts for my DH labor day party at his work. After baking 72 cupcakes and 48 cookies, I was horrified to find out the cookies had turned to bricks. 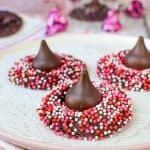 Luckily I found your recipe and whipped up a triple batch of these using Hershey’s premier white chips creamy vanilla flavor. Everyone at his company loved these and they keep asking him to bring more of these cookies in. Thank you so much for a lovely recipe. Have a beautiful day.